DayFriend is a template created with bootstrap framework. This template is pure html css js code. 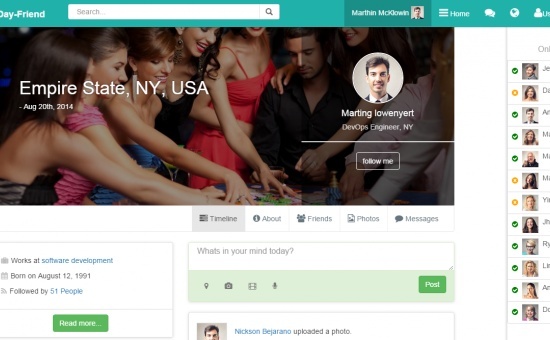 You can use this template to develop a new social network. This template has a modern design.